At MyWikis, all wikis have features custom-tailored to you. Explore what we have to offer. That's why we provide your wiki with multiple layers of protection that no other wiki host comes anywhere close to providing. HTTP authentication — All users are first authenticated through HTTP authentication that you control. IP address whitelist — Restrict access to your corporate intranet. Image authentication — We utilize MediaWiki's image authentication mechanism. Built-in MediaWiki permissions — We haven't forgotten about MediaWiki's inner level of protection. Utilize MediaWiki's extensive set of permissions and fine-tune them to your needs. When creating your wiki, please specify which of the above privacy settings you'd like for your wiki. Existing customer? Let us know which ones you want to add/remove at any time. We offer various privacy settings for your wiki. Choose the one that suits your wiki best. 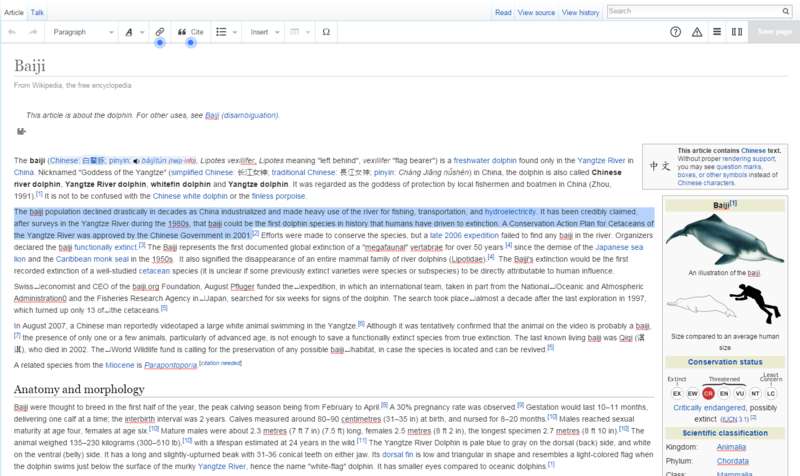 VisualEditor makes it easy for you to edit your wiki. Instead of wasting time learning complicated wiki syntax, you can now edit with ease! Included by default with MyWikis Pro and above. MediaWiki has a diverse and strong library of extensions. If the wiki isn't doing enough, chances are there's an extension to improve your wiki experience! Just let us know what you need for your wiki and we'll make recommendations and install extensions for you. You can always request specific extensions if you know what you want to install. MyWikis doesn't place a limit on the number of extensions you can install on your wiki. Adding extensions will always be free. Forget ads. Keep your wiki clear of clutter. At MyWikis, we don't believe in filling your screen with junk. Instead, we believe in keeping your wiki experience as pure as possible. Only the good stuff. Want to see the power of our services in action? Try our demo! Ready to create a wiki? Join us today!